Few things remind us more of summer than seersucker suits. 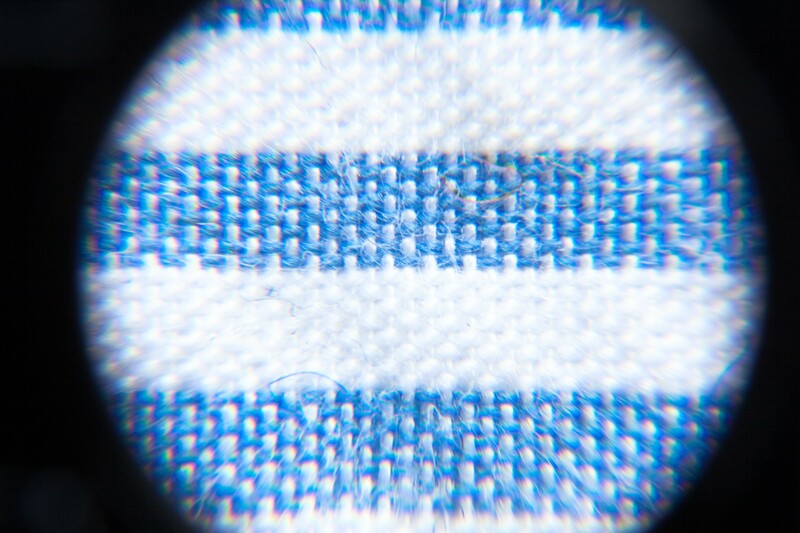 First, a look at the fabric itself under the microscope (from our What Cloth Am I series, where we asked readers to identify various fabrics, from these microscope close-ups) – it is breathable, lightweight and natty (which, despite the misleading manner in which it sounds similar to “tatty”, is actually a term that means “smart in appearance or dress; spruce; dapper”). First steps: At this stage the first thing a cutter will normally do is to lay the fabric like so (see below). 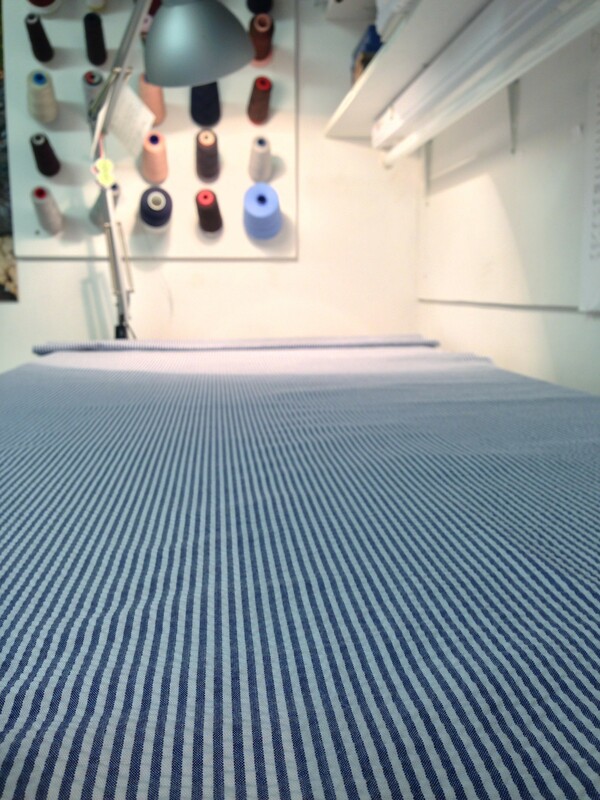 This will enable him or her to scan the entire fabric for any imperfections. This is a necessary process which can be very time consuming. An eye for perfection and attention to detail is required. The cutter will then draw out the customer’s pattern on paper, lay it on the cloth and best decide how to fit things before cutting the cloth. We see a “sea” of seersucker as a blank canvas, ready to become whatever a customer wishes. 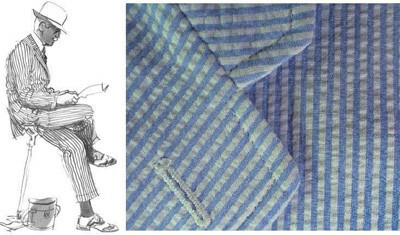 Seersucker can be used not just for suits, but for shirts (an example of which is below) and shorts are quite popular as well. 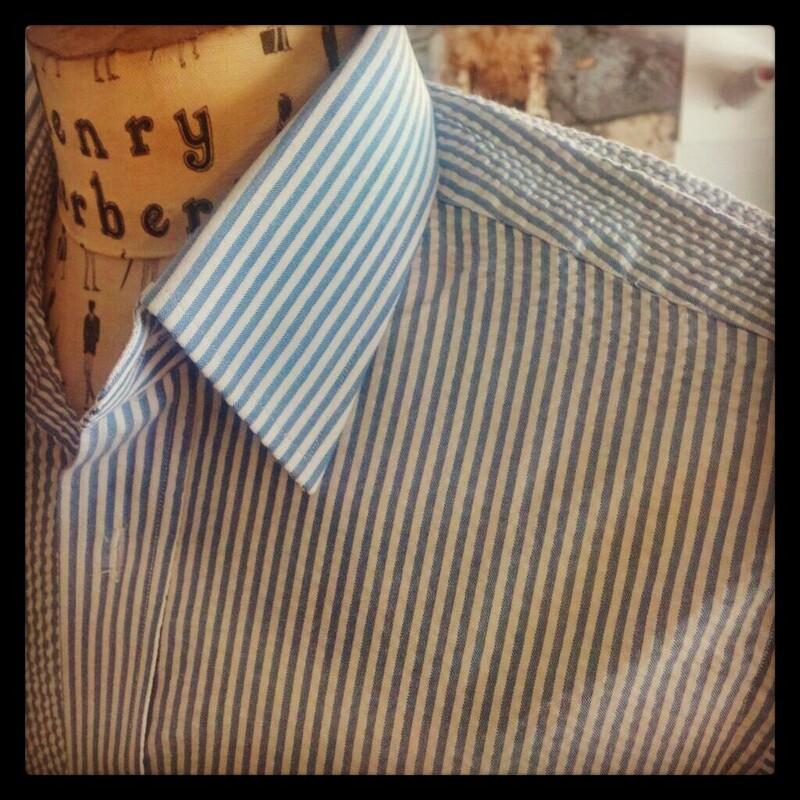 Your Henry Herbert tailor will be happy to talk you through all the possibilities – that is the beauty of bespoke. To see our seersucker suits in action, watch our video. 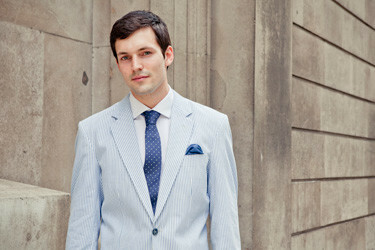 Great British Bespoke Summer: Seersucker Suits - Bespoke Suits By Savile Row Tailors. Few things remind us more of summer than seersucker suits. 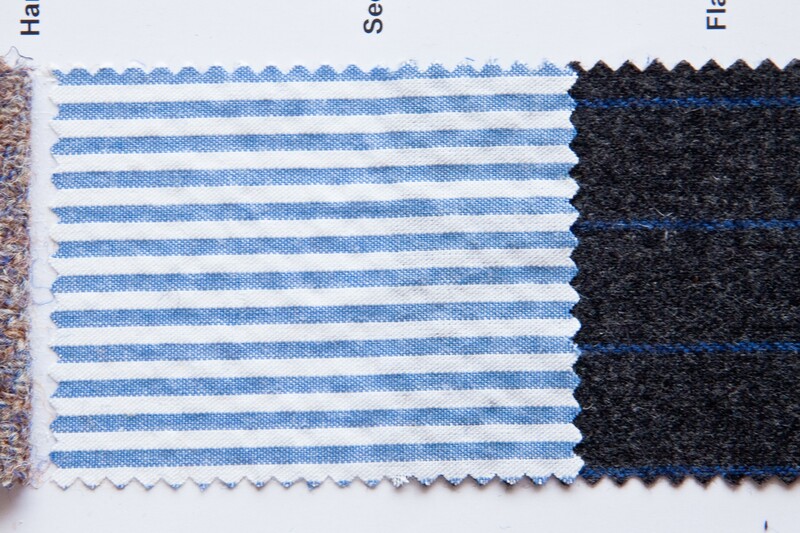 The fabric is is breathable, lightweight and natty (a term that means "smart in appearance or dress; spruce; dapper").